As West Ham were blowing bubbles, Huddersfield Town’s hearts were breaking – can Michy Batshuayi finish the job and relegate The Terriers on Saturday? 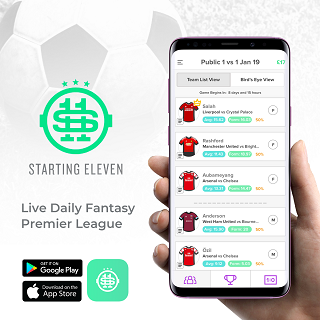 Hello and welcome back to @FFPundits_Drew‘s Daily Play Punts of the Week, where I will look to tempt you with four differentials for this weekend’s Starting 11 and FPL games. With no player or team budgets on Starting 11, many managers will opt for the big guns such as Aguero, Sterling and Pogba – but what about those players flying under the radar who could give you the edge on Saturday during Gameweek 32? 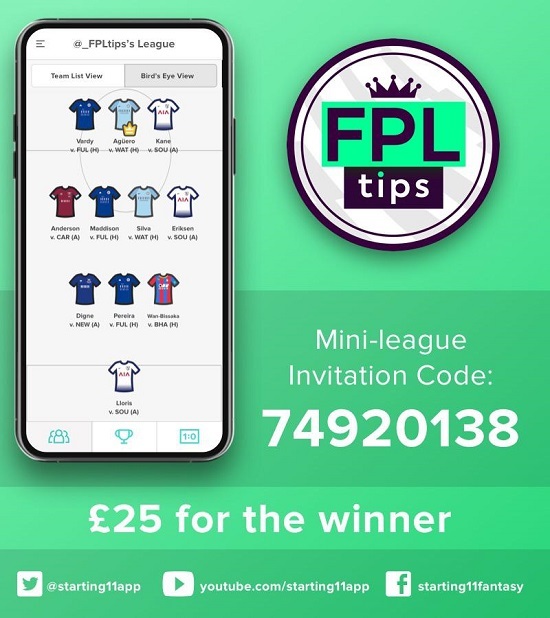 The Starting 11 iOS and Android apps can be downloaded for free and we’ve a £25 1st place prize up for grabs in our FPLTips Mini League this Saturday, so be sure to check that out. Now this is your time to take advantage of FPL managers tunnel vision with regards to a Double Gameweek, as FPL managers scramble to find players with two fixtures during Gameweek 32 – will they miss the plump fixture on Starting 11 for Leicester on Saturday? Entering Gameweek 32 bang in form, Vardy has four goals and an assist from his last five games – a record which may have been even more impressive had it not been for a Maguire red card three minutes into Leicester’s fixture vs Burnley. 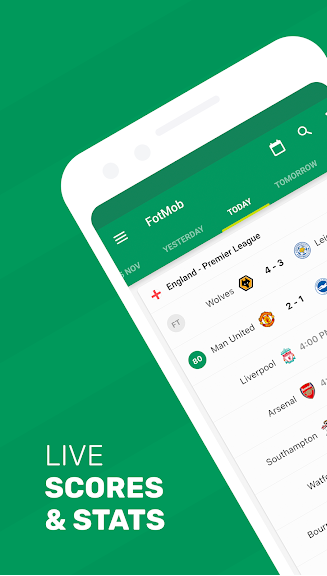 On Saturday Leicester host Bournemouth, who have striker Josh King firing – but at the back have conceded fourteen goals in only seven games. With a form and fixture combination such as this, Vardy should find his way into your Starting 11 sides – he might even out-score some players with two games on FPL. Since his arrival at Crystal Palace, Michy Batshuayi has scored twice from his first four starts for Roy Hodgeson’s side – Palace have struggled in-front of goal this season but Batshuayi showed us during his time in Germary that he is a threat to opposition defense. With a goal and two assists over the international break, Batshuayi enters Saturday’s fixture in good form ready to face bottom of the table Huddersfield Town – what better opportunity to continue that form? How can Huddersfield recover from their Gameweek 31 defeat to West Ham? A devastating 4-3 defeat left West Ham blowing bubbles but Huddersfield Town’s hearts breaking – Huddersfield could have their relegation confirmed on Saturday afternoon. Batshuayi is only owned by 1.9% of managers over on FPL, giving you some indication of how much of a differential he could be for you on Starting 11 this Saturday. With limited stats to back him up as a pick this Saturday, he is certainly a punt – but one worth strong consideration. Has a pregnancy ever been so closely followed on FPL Twitter before? Fear not Fantasy Bosses, Mrs Lindelof has now given birth to a baby boy and we have to assume Victor will be ready to take on Watford on Saturday. Manchester United have struggled for clean sheets this season, even after the arrival of new manager Ole Gunner Solskjaer – however I feel that could change between now and the end of the season. The performances of Lindelof and Smalling have surprised (and impressed) me lately, this looks like a strong centreback pairing that will develop – they of course benefit from the incredible David De Gea to back them up should it all go wrong. Still owned by only 7.4% on FPL (1.4% for Smalling), I see an opportunity here for Starting 11 bosses to pick up some clean sheet points their rivals may miss out on. Why Lindelof and not Smalling? Well Lindelof is proving to be a player who will soak up additional points for passes as he chooses to play the ball out of defense – even on FPL he is proving to be something of a bonus magnet during his last nine Premier League games.